This is a 32x38mm. 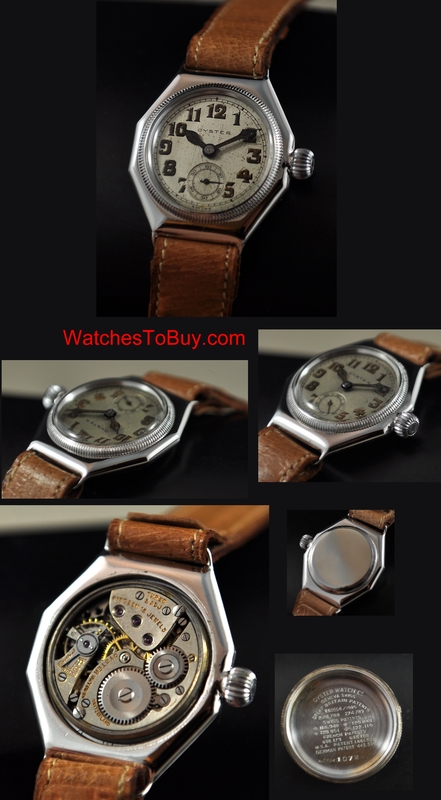 1920’s vintage OYSTER (by ROLEX) octagonal chrome plated vintage watch. The chrome case was expertly restored with gleaming rhodium plating. The rare original onion style and signed OYSTER winding crown is still present. This 15 jewel OYSTER movement (by ROLEX) was just cleaned and is accurate. Notice, this movement has 3 adjustments. 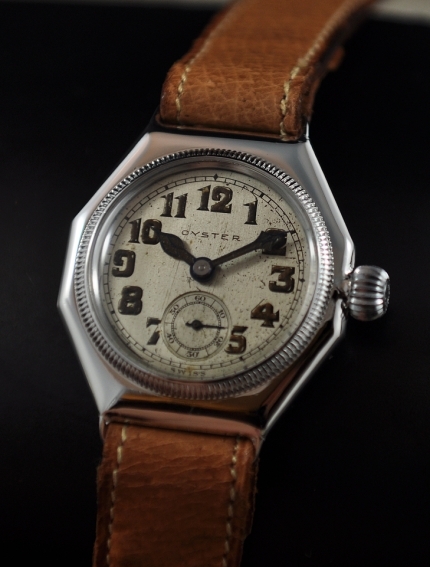 These early ROLEX watches have three piece cases, with the bezel and back both removable. The dial and cathedral hands, plus the lume are all original to the watch. This is an uncommon find! $2850.